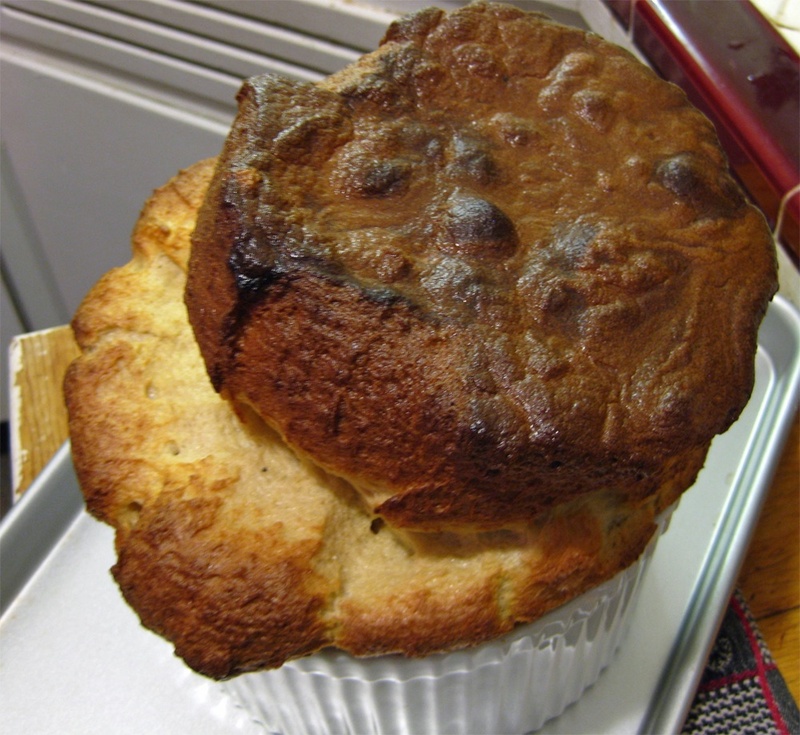 Our Stout and Cheddar "UK Soufflé"
When going on a vacation there are certain things you must do to prepare. Of course, there is the obvious packing, getting a cat sitter, and stopping the mail, but there’s are the little things like eating what ever is left in your fridge to avoid having to toss it out. You become a little creative in the dishes you prepare and sometimes, if you’re really lucky, the dish comes out tasting very good. 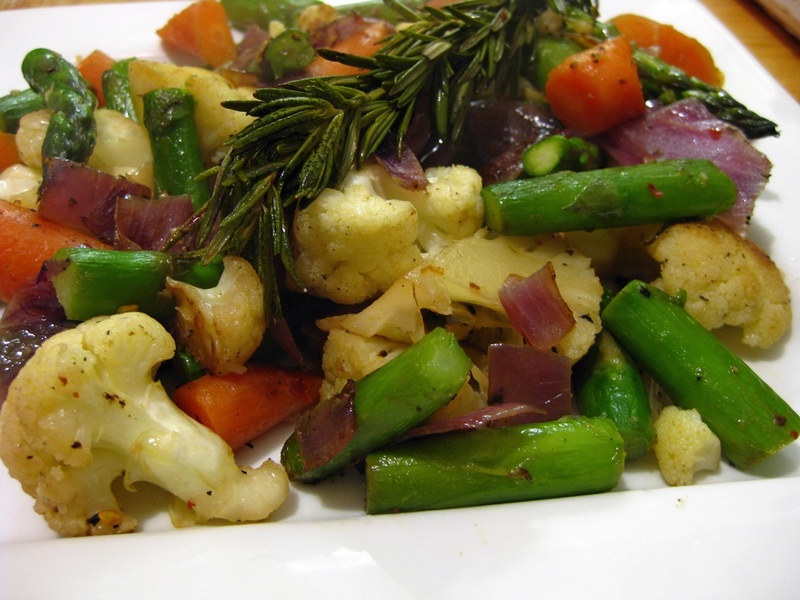 The night before we traveled to London we had very little left in our fridge – some vegetables that we pan roasted with rosemary and some fixings for a souffle, or so we thought. We were short on milk and didn’t think it would be wise to go purchase more since whatever we bought would be past its prime when we returned, but we did have some flat stout beer in the fridge from a leftover Beach Chalet growler. So, after doing a little research and thinking, hell, why not, we created a souffle using a mix of the last of our milk, stout beer and Irish Cheddar. The result was a UK, French mash-up that was one of the best souffles we’ve ever whipped up. The coloring was a nice tan though not as pristine as a typical souffle, but the taste was uniquely delicious, and the souffle rose higher than any we’ve tried before. The resulting souffle is a sort of fluffy ‘rarebit’ that pairs perfectly with toasted crusty bread and a nice salad. Give this one a try and tell us what you think! Preheat your oven to 400 degrees. Butter a 2-quart soufflé dish well (or several small ramekins of your choosing) then lightly dust the interior with grated Parmesan cheese, set aside. Place a medium saucepan over medium heat and melt the 4 tbsp butter. When it begins to foam, add flour and whisk constantly until mixture begins to darken slightly. Add milk and stout while whisking to avoid creating lumps. Continue to whisk for a couple of minutes until mixture begins to thicken. Remove pan from heat and stir in salt, pepper, cayenne, mustard and cheeses. 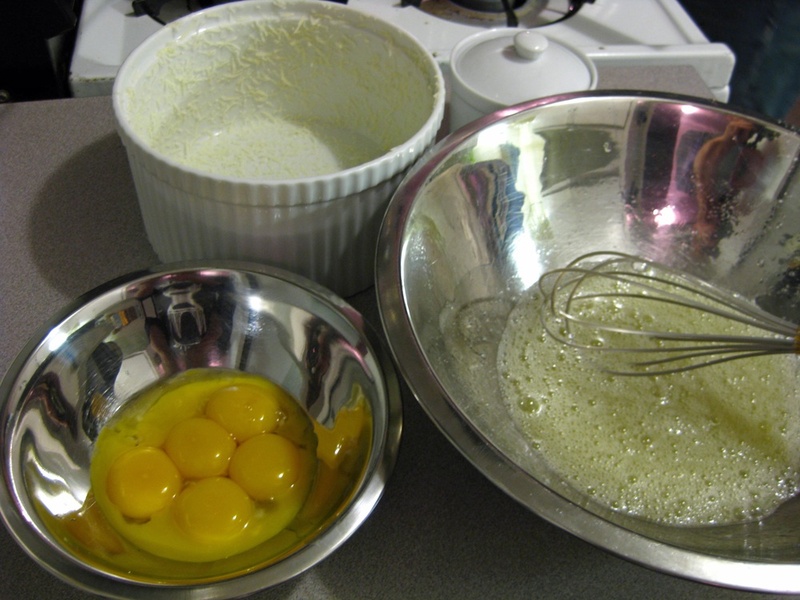 Next, whisk in egg yolks one at a time, again being careful to incorporate them quickly to avoid scrambling them. Beat egg whites and pinch of cream of tartar in a spotlessly clean bowl until soft peaks form. You can do this by hand or with an electric hand or stand mixer. Once whipped, stir a few tablespoons of egg white into the cheese mixture until completely incorporated. Add remaining egg whites and fold them in gently with a rubber spatula to avoid breaking their volume (Bittman uses his hands). Pour the batter into your prepared soufflé dish and bake in the center of your oven for 30 – 40 minutes (less if you’re baking small soufflés). Bake until a rich golden brown. To test, insert a wooden skewer into the center. The skewer should be just lightly moist. Remove from the oven and serve immediately. Remember, a soufflé waits for nobody. Everything you plan to eat with it should be ready and on the table before you take the soufflé out of the oven. It will lose volume almost immediately after leaving the heat of the oven so time is of the essence. Use a couple of large spoons to scoop it from its dish and plate it while steaming hot!